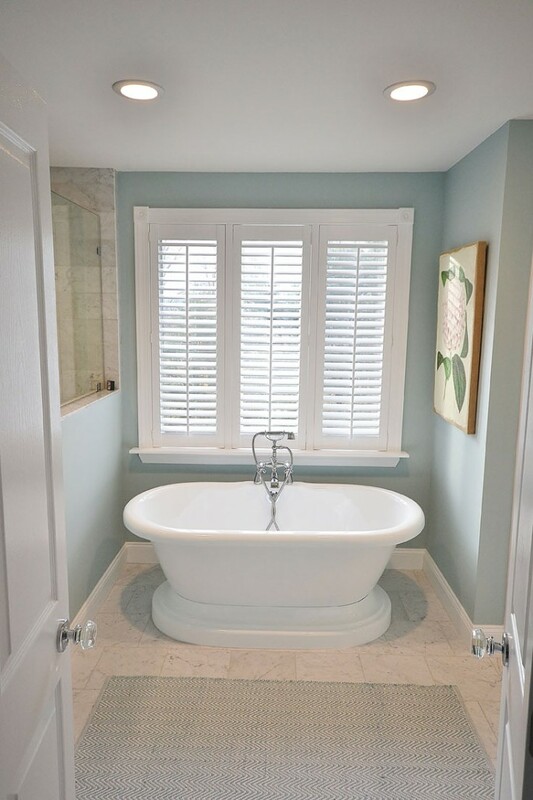 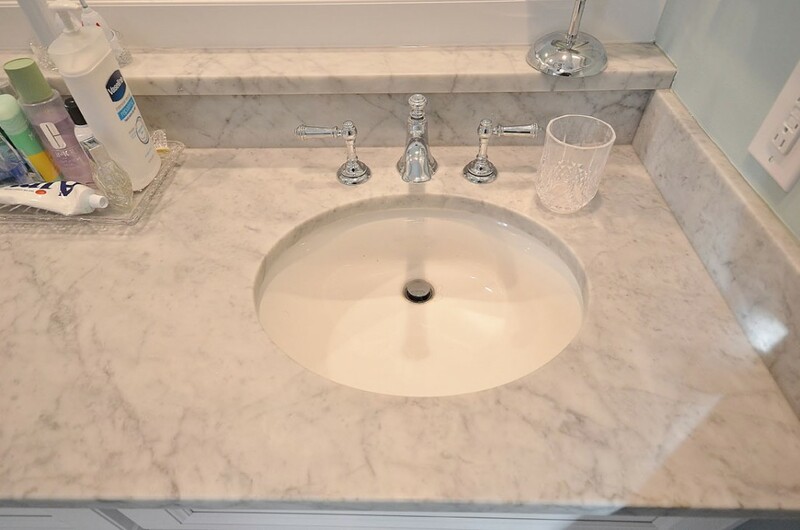 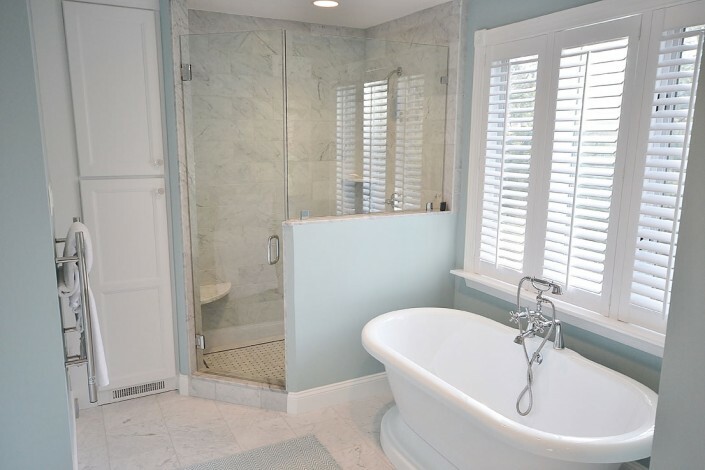 Gorgeous bathroom remodel with bright whites and Carerra Marble. The cabinetry selection was Kabinart Cabinetry, with Wakefield door in aspen white. The gorgeous flooring and shower are Carrera marble. 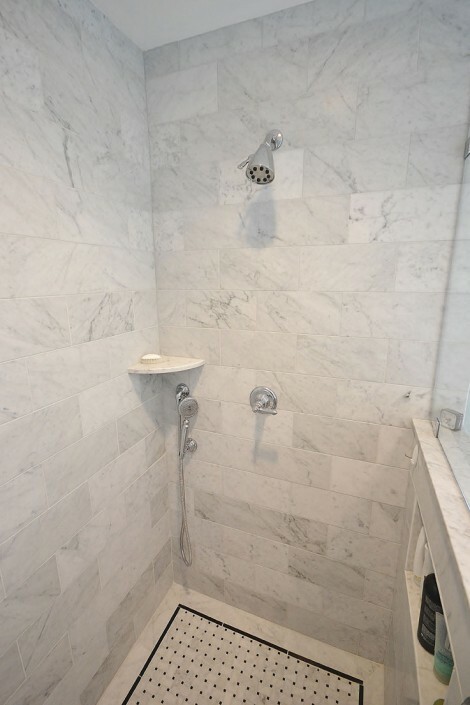 All marble bath with free standing tub and heated towel bar.